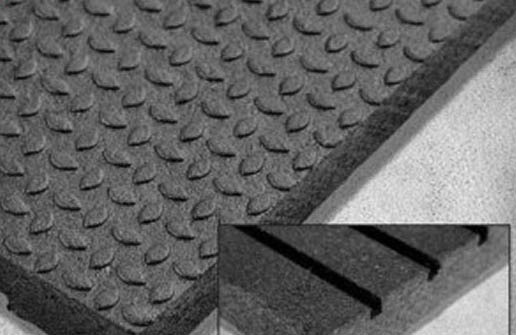 These interlocking stall mats come with a 15-year warranty which means you have peace of mind. With over 40 years of experience, Equine Stall Mats knows how to achieve the optimum balance of a long-lasting horse stall mat, offering good traction even when wet. 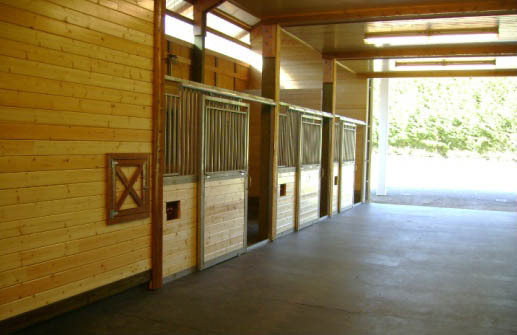 Add these stall mats to your equine facility today. Contact us to get started! Four different types of stall mats are available for your convenience: interlocking, straight edge, traction and horse walker stall mats. All of which will improve the safety and comfort of your horse. As the horse is resting, the rubber mat insulates them against the cold and damp. The rubber also cushions your horses’ feet and legs. Over 40 years ago these vulcanized mats were introduced to the equine community using recycled rubber. Since 1968 these mats have helped to keep half a billion pounds of rubber out of landfills! All of the interlocking stall mats are cut on our state of the art Ultra Sonic Knife Cutter. This type of cut provides the tightest fitting interlock in the market today to minimize moisture. The straight edge stall mat is the original stall mat and the best. They are the thickest, toughest most economical stall mats you can buy! 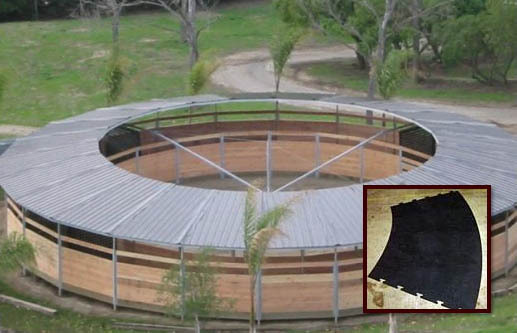 The long-lasting, non-absorbent and slip-resistant material promotes equine health and saves bedding. 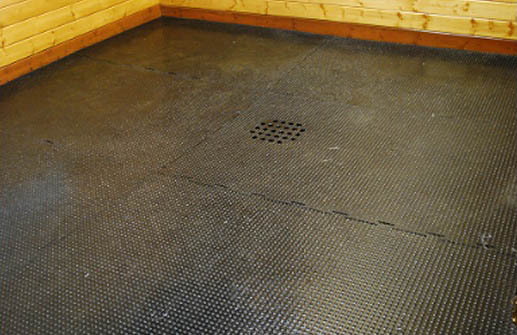 The traction stall mat is great for regular foaling or breeding stalls, washbays or trailers. The vulcanized recycled rubber ensures long life and great value. The horse walker mat is the perfect solution for your horse walker over a cement base. 40 years ago our vulcanized mats were introduced to the Equine Community, using recycled rubber. Since 1968 we have been able to keep half a billion pounds of rubber out of landfills!